The past month, I've spent much of my time getting a new novel started – The Labyrinth of Klavdia Klangfarben, continuing the saga from two earlier novels, The Doomsday Symphony and The Lost Chord – but more of that later. I've also been reading about Dmitri Shostakovich's Piano Quintet which Stuart Malina will be playing again, this time with the Jasper Quartet, to open Market Square Concerts' new season on Saturday, September 21st at 8pm at Market Square Church. In this post, I'm re-posting the famous video recorded in 1982 with the legendary Sviatoslav Richter and the Borodin Quartet which had a long working relationship with Shostakovich since 1944. In the course of the post, the cellist of the Borodin - performing in this recording - remembers working with Shostakovich when they first played the Quintet with him in 1947. At the end of the post, there are audio clips of the recording the composer himself made with the Beethoven Quartet, the ensemble he'd originally composed it for. 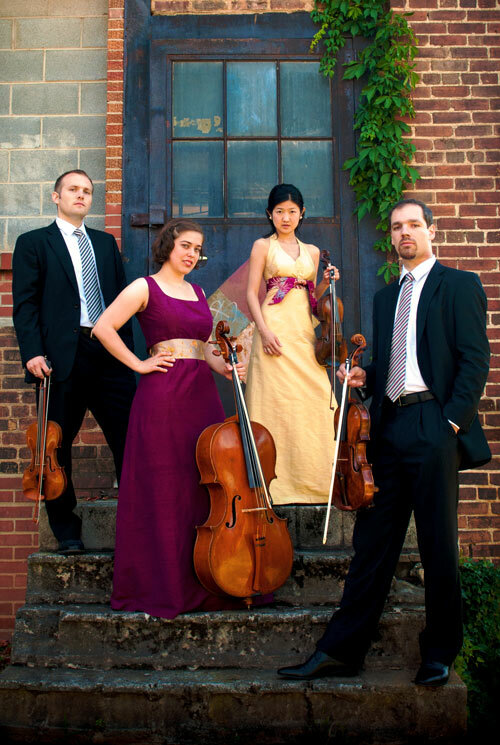 The G Minor Piano Quintet began life as almost his 2nd String Quartet. But friends of his in the Beethoven String Quartet had asked him to compose something with piano that he could play with them, and so the quintet began to take shape. He began working on it during the summer of 1940 and completed it on September 14th. He and the Beethoven Quartet gave it its first performance on November 23rd at the Moscow Conservatory. It was received with universal acclaim and the scherzo and finale both had to be encored. To place things in a chronological perspective, the article appeared on January 28th, 1936; in the spring of 1937, he was nearly arrested (he would have been one of over seven million people who'd be arrested in Stalin's purges between 1936 and 1939) and was saved only because the person who was preparing his arrest was himself arrested first! This was around the time he'd already been sketching what would become his 5th Symphony. He finished sketching it on September 11th, 1937 and completed the “short score” a week later and the full score in October. The premiere on November 21st was a huge success that no doubt saved his career (and quite possibly his life). In 1938, he wrote his first string quartet, starting what would become a new interest in chamber music through the rest of his career. If for no other reason, it usually failed to attract the attention of the government bureaucrats who were more concerned about the large-scale “public statements” the composer made in his more public works like symphonies and operas. He would save many of his most personal statements for his chamber music, especially his later string quartets – like the 8th which incorporates his famous musical signature, his initials D SCH in the pitches D – E-flat – C – B-natural in German notation. His Sixth Symphony, then, composed shortly after the string quartet, was a more “public” work and was being anticipated as “more of the same,” an offering to the concept of Soviet-Socialist Realism. Unfortunately, the work met with almost universal confusion and has always been a difficult symphony to make sense of, in three movements with a long, slowly unfolding first movement (instead of the traditional allegro) and then a seemingly unrelated scherzo and galloping finale, almost vulgar compared to the expected heroic finish. This was premiered in November, 1939. 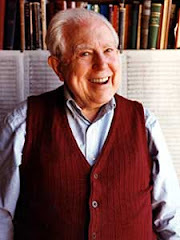 The following summer, then, he composed another chamber work – which, as I mentioned, was originally going to be a second string quartet before being turned into the Piano Quintet. Dmitri Dmitriyevich [Shostakovich] answered, “Not in the slightest! You are an inveterate stay-at-home, while at heart I'm an inveterate traveller!” But from the expression on his face it was impossible to tell if he was joking or not. We had this conversation in the summer of the year preceding the war . 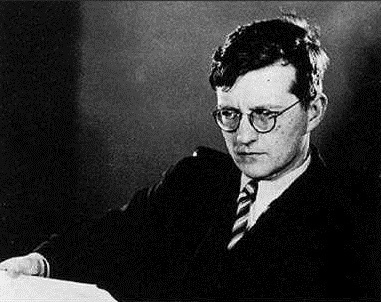 Though Shostakovich performed the quintet often during his career as a composer-pianist, the quintet never became the “vehicle” that allowed him to tour the world. There were trips abroad – one notable one to Paris where he recorded the two piano concertos but where the illness that would make it impossible for him to continue playing was already affecting his hands. The next-to-last time he performed in public was in February 1964. He was scheduled to play the quintet with the Borodin Quartet in the city of Gorki, but played only the Intermezzo because of the unreliability of his hands. Though he announced it was to be his last public appearance, he agreed to accompany Galina Vishnevskaya, the soprano who was married to his friend and protege, Mstislav Rostropovich, and a baritone in a program in May 1966, but he was so nervous about the concert and whether his hands would cooperate or not, his friend Isaak Glickman who was in the audience saw the composer was in physical agony, presumably brought on by his nerves. “...which took place at his home. In the Prelude, he asked us not to make a ritenuto [a drawing out of the tempo] despite its being written in the score. 'But ritenuto is written here,' we exclaimed. He came up to us very nervously, took out a pen and crossed out the marking in every part. Berlinsky continues, saying how, in all, the Borodin Quartet played the quintet eight times with the composer, the last time being that sad occasion where he could only play the Intermezzo. 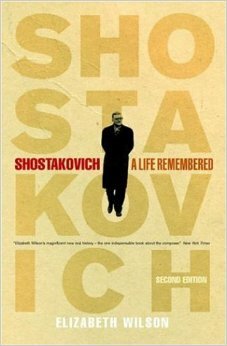 “Shostakovich was a very anxious performer. 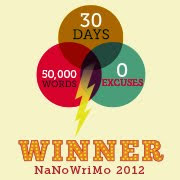 Because of that all our tempi tended to be too fast. The amazing thing is that he appeared to be ashamed of his own music. He used to say, ' Let's play it fast, otherwise the audience will get bored.' He particularly rushed the slow movements. For instance, in the 3rd Quartet, he hurried us on in the great funeral march of the fourth movement. 'No, no,' he would say, 'while you're stretching out that first C-sharp, the audience will fall asleep.' In general, his marking of the tempo often contradicted what he really wanted. “Sometimes he wrote in the metronome markings after the first performance by the Beethoven Quartet [who usually premiered his new quartets]. It's leader, Dmitri Tsyganov, was by nature a fast player, and this influenced Shostakovich's tempo markings. We never played the same tempi that the Beethoven Quartet took. A violinist who later joined the Leningrad Philharmonic, Yakov Milkis recalled seeing Shostakovich for the first time in the late-1940s when he was in his prime as a performer. “I often heard him perform his own works and I particularly remember his concerts with the Beethoven Quartet. He was a wonderful pianist and when performing, he was completely absorbed in his own world. His playing conveyed an ideal sense of form and structure but more than that it was an expression of his innermost world, one that cost him sweat, blood and tears. He played with a special touch and colour, and often quite intentionally treated the piano as a percussion instrument. It is rare that a composer uses the upper register of the piano like a xylophone, making a sharp, percussive sound. This is how he played the Scherzo from the Piano Quintet, for instance. I still have the particular sound of his sarcastic dry staccato in my ears today. It completely suited the style of the music. “He always sat alone [in orchestra rehearsals] preferring some inconspicuous spot in the stalls. He... seemed to retire into himself, melting into his surroundings, so as to be left undisturbed while listening and working. This incredible modesty was apparent also when he was in a gathering of people. Here too he appeared to fade into the background, doing his best not to attract attention to himself. 1948 had been another terrible year for Shostakovich. Unlike the attack in 1936, Zhdanov's decree was intent on rooting out Western influences in Soviet music in which Shostakovich, Prokofiev and several other leading composers were condemned first by the Stalinist bureaucrats and then by their colleagues. This affected Shostakovich differently, this time. Rather than writing another “Soviet Artist's Reply to Just Criticism,” he ceased composing at all. Or, that is, publishing anything. Life was difficult, his income dried up – no one would perform his music so he had no income and who would risk commissioning new works from him with Stalin's displeasure so close to the surface? – and so he turned inward, writing solely for himself, often leaving things unseen by others in desk drawers, like his Violin Concerto and, perhaps, much of his 10th Symphony which either didn't see the light of day or wasn't begun until after Stalin's death in 1953 (the same day as Prokofiev's, as it turned out). But he did compose a series of piano pieces inspired by Tatiana Nikolayeva's performance of Bach's Well-Tempered Clavier: his own set of 24 Preludes and Fugues. Imagine what it must have meant for a composer, accused of being too influenced by Western Music and Germanic forms like the symphony, to sit down and write Bach-inspired fugues: there can hardly be a more Germanic formalist approach to writing music than a fugue! How completely un-Soviet! And yet his Piano Quintet, composed in 1940 before the Nazi invasion drew the Soviet Union into the 2nd World War, opens with a Prelude and Fugue, as Bach-like, Germanic and formalist as anything he was accused of writing in 1948! And yet in 1941, this Quintet won the Stalin Prize, the Soviet Union's highest award in the arts! If it had been such a patriotic issue to attack a composer for his “formalist Western” style in 1948, why was the same “formalist Western” style worthy of receiving the government's highest award seven years earlier?